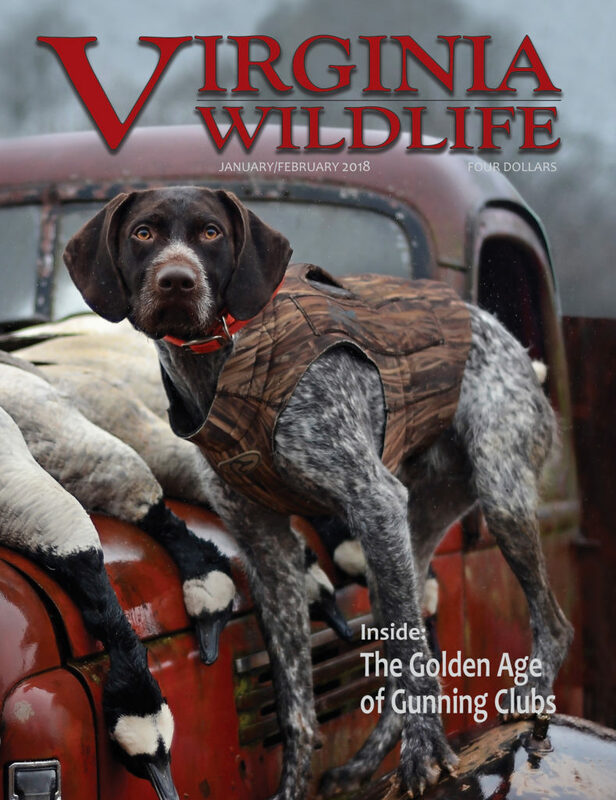 Cover photo © Rue Wildlife Photos. The adaptable bobcat lives throughout Virginia. 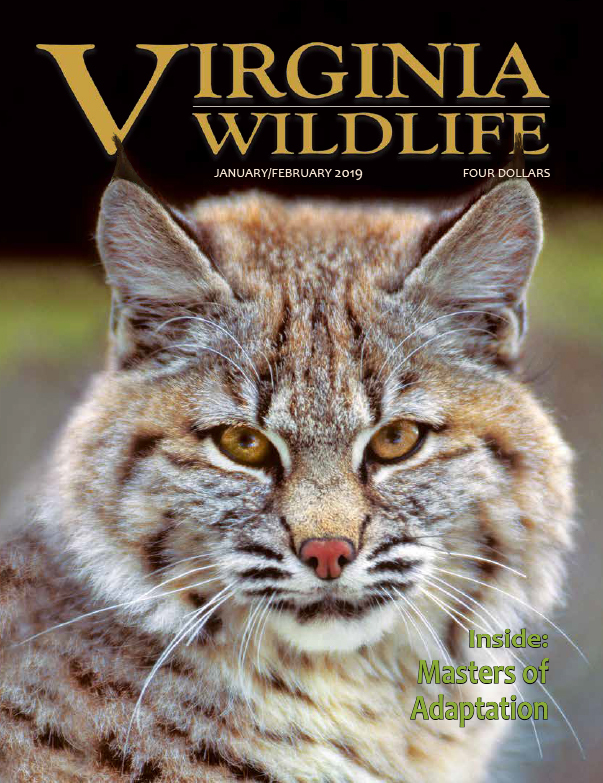 A top predator, the elusive bobcat is more widespread in Virginia than one might imagine. Early and influential inhabitants of the Eastern Shore changed a way of thinking by using conservation to protect hunting for all. A surprising decline in this once common falcon sends volunteers out to give them a place to raise their young. Fishing Season is Almost Here! Now’s the time to clean out the old tackle box, respool the reels, and get ready for another great fishing season. You might be surprised to discover the variety of owls that make Virginia home. And whoooo doesn’t love owls? Timbering a forest might look bad but, if managed properly, has been proven to offer many benefits to a wide variety of wildlife. Cover photo © Ryan Yoder. A handsome, battle-worn buck watches from a frosty meadow. 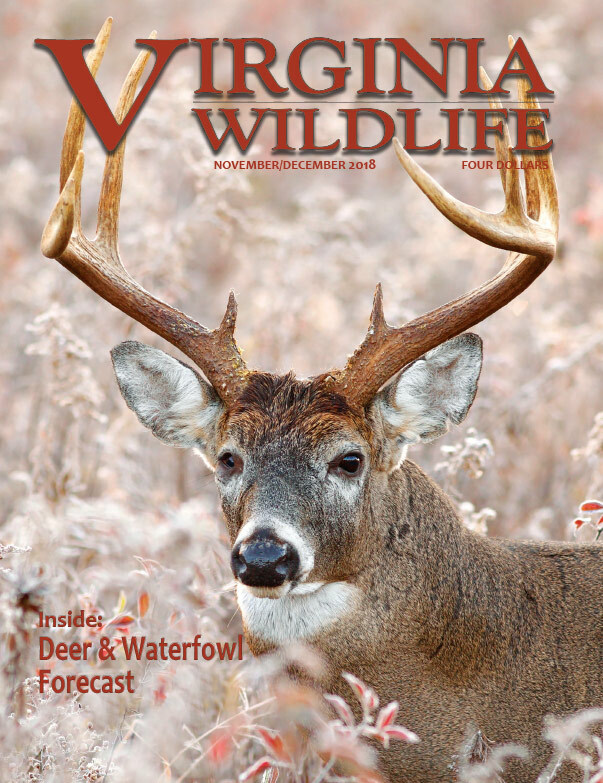 DGIF biologists share their insights on deer and waterfowl seasons based on current data, weather impacts, and field observations. Think private resort with open buffet. One farmer-sportsman advocates for leaving the deer alone. When temperatures dip, you may find lake conditions perfect for hooking a hefty striped bass. A lifelong hunter turns his love for wildlife into creating treasures of folk art. Elk are calling all wildlife watchers to southwest Virginia, where the drama unfolds and the herd is thriving. Waterfowlers consider how hunting has changed over time on the Eastern Shore, and urge mentors to step up. A cautionary tale explains how difficult it is to wage war on opponents that adapt and change. Cover photo © Mike Roberts. A female prothonotary warbler brings caterpillars to her young. How Sweet Sweet Sweet It Is! 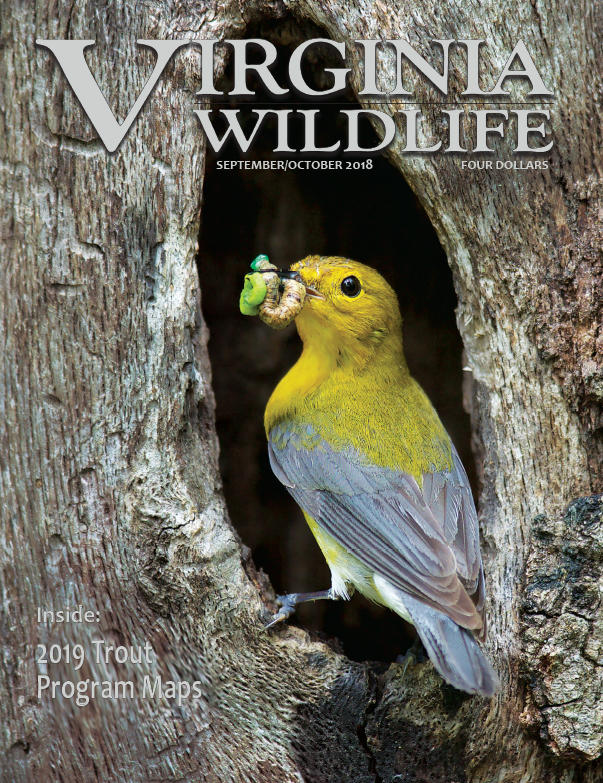 With support from the Ward Burton Wildlife Foundation, volunteers, and business partners, a citizen science project aims to help a magnificent songbird in the Roanoke River basin. A childhood spent afield gives the author reason to reflect upon a simpler time, one that deeply shaped his values. There are many reasons to cheer the trend of women’s interest in hunting and fishing, and the outdoors industry takes note. 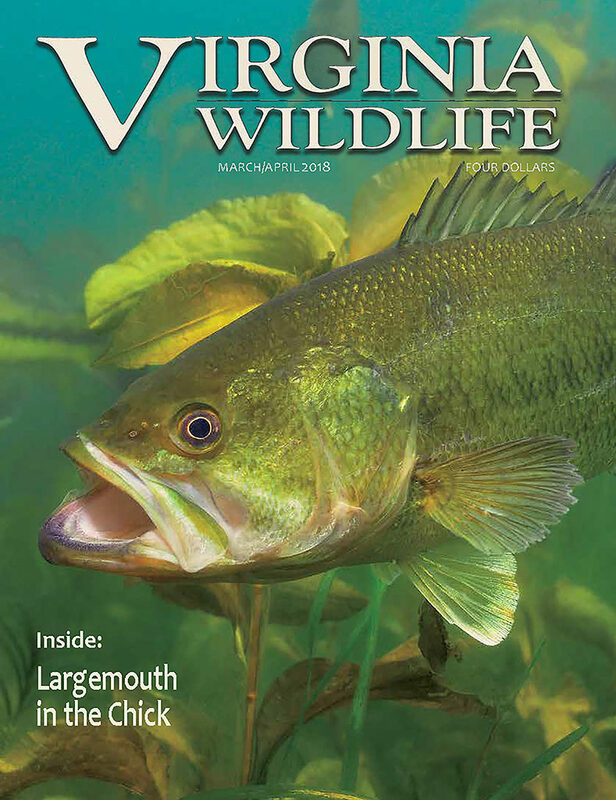 Virginia is taking a lead in sound management of this game fish through multi-state coordination, tagging efforts, and citation data. Snakes are given a bad rap, but a little knowledge and the right support group can help you overcome your fears. Nature has endowed young wildlife with a number of strategies for survival, cuteness being one of them. Fisheries biologists share the latest trout stocking locations. Proud of the two-acre backyard planted by her husband in native hardwoods, cedars, and a large meadow—all for wildlife—the couple went out for an evening stroll and spotted this beautiful Eastern red bat hanging from one of their cedar trees. Laura reports that she ran into the house to get her camera and was able to capture a few shots of this unusual find. We are so happy she did! While not usually admired for their beauty, bats are critical to a healthy ecosystem. They perform valuable pest control services that benefit all of us: farmers, star-gazers, home gardeners, porch lovers, and anyone who enjoys being outdoors. Congratulations on this gorgeous cover shot, Laura! 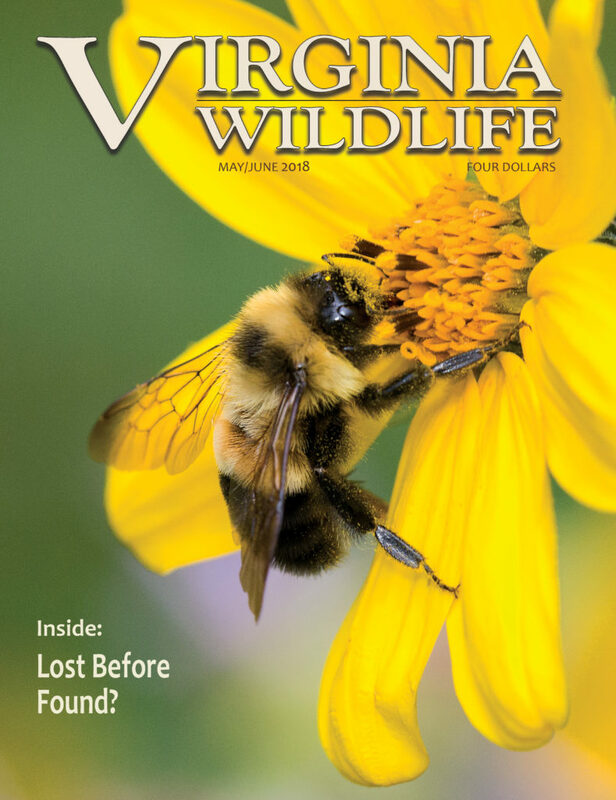 Scientists at the state’s Natural Heritage Program scramble to build an inventory of native bees and protect those most at risk. Not far from Farmville sits a lake that rivals the largemouth bass fishing at Briery—especially in the citation range. Quiet dramas unfold in these seeps and stream bottoms, but their palette of spring colors and textures is unmatched. What’s Going On With the Butcher Bird? Working with partners, DGIF biologists trap and band loggerhead shrikes to gain insight into the bird’s decline. It’s tough enough for people, but think about the strategies animals must employ to deal with Virginia’s weather. Follow these tips to get started and even work in a little fishing. Do Blue Cats Deserve All the Hype? The results are in and the answers lie in their stomach contents. Look who made the lists this year and take a peek at the winners of the state NASP tournament! Ask most Conservation Police Officers and they will tell you, it’s not a job but a lifestyle. If you’re looking for pristine trout waters and wilderness surroundings, you will find it here. Spurred by citizen action, a well-placed garden of native plants benefits commuters of every stripe. Anglers and fisheries managers celebrate a successful come-back for largemouth bass in the lower Chickahominy River. A bit of behavioral analysis goes a long way toward successful pursuit of turkeys in the spring woods. Coming Soon: The business of carbon credits holds promise for conserving smaller woodland tracts. Those who train and field trial dogs are indeed a special breed. Year four promises even more excitement afield! In the late 1800s, Nathan Cobb helped to usher in an era of duck hunting on the Shore. Bad Behavior or Just Birds Being Birds? This story reminds us that birds can be brilliant, and ruthless, in their will to survive. With a handful of minor changes, you can welcome more wildlife to your property. Nestled amid the hubbub of Northern Virginia, a unique natural community beckons. As humans encroach upon their world, wild animals employ a number of strategies to adapt to our urban footprint. Virginia’s Wildlife Action Plan calls attention to our most vulnerable species, including elusive salamanders. Governor McAuliffe’s statewide initiative recognizes and protects land of exceptional conservation value. 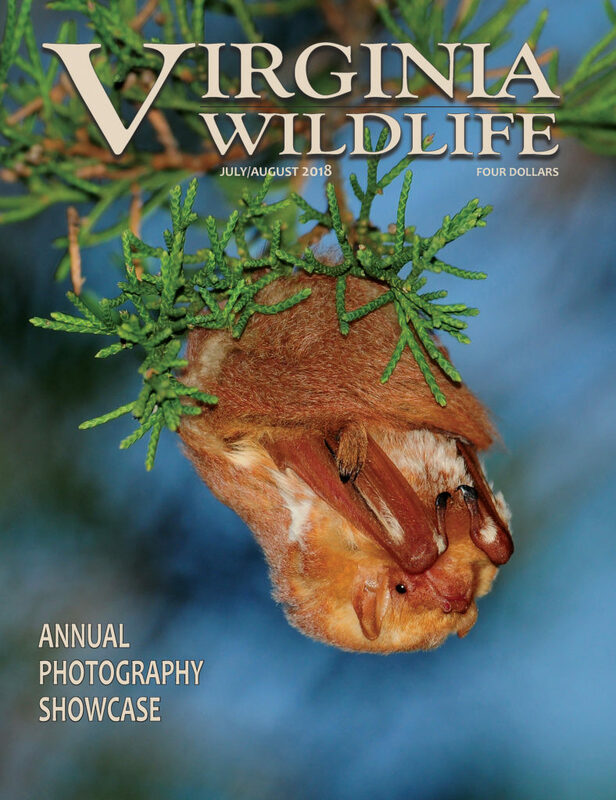 Scanned copies of Virginia Wildlife Magazine from the early years, archived at the Library of Virginia.